BROOKLYN PARK, Minn.–Cirtec Medical LLC, a provider of design and contract manufacturing services for active implants and minimally invasive surgical devices, will expand its 54,000-square-foot manufacturing facility in Brooklyn Park, Minnesota, a suburb of Minneapolis, the company said in a press release. The expansion, which is expected to be complete by the end of the year, will add 30,000 square feet to the manufacturing facility and include additional cleanroom space, new office areas, engineering labs, and additional engineering resources. The new space will provide an increase to the company's manufacturing capacity for precision machining and medical device assembly. "We are very excited about the expansion to our Brooklyn Park facility," said Brian Highley, Cirtec's CEO, in the release. "Not only does it provide the additional capacity we need to meet the needs of our growing customer base, but also enables us to create a center of excellence for neuro-stimulation leads and low-volume, high-mix, minimally invasive surgical device assembly." This expansion comes less than a year after the opening of Cirtec's 38,000-square-foot facility in Enfield, Connecticut. The additional space will allow the company to expand its production line transfer capabilities while utilizing lean manufacturing practices to continually improve product quality and reduce production costs. 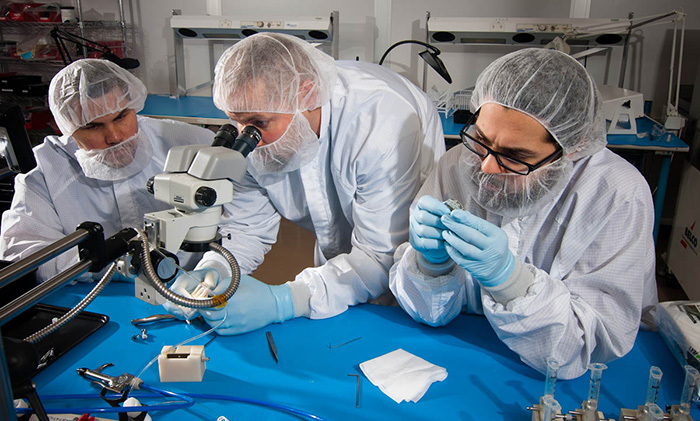 Cirtec (cirtecmed.com) has provided design, development, precision manufacturing, and product transfer services to the medical device industry for more than 25 years. With facilities in Brooklyn Park, Minnesota; Enfield, Connecticut; and Los Gatos, California, the company specializes in outsourced manufacturing for active implantable devices in the areas of neuromodulation, and neuro-stimulation, drug delivery, cardiac rhythm management, ventricular assist, and minimally invasive surgical devices.